Rarely offered direct Silver Lake front home located in the ocean block of the highly desired community of Rehoboth By The Sea. The high elevation relative to the lake from the wraparound deck and sunroom creates unparalleled views. The amazing exterior includes a deck that leads to a lakefront patio, private sandy lake beach and dock. The interior of this spacious home boasts 7 bedrooms, 3.5 baths, vaulted ceilings, exposed beams, multiple skylights providing an abundance of natural light, hardwood floors, built-in bookcases, wood burning fireplace & much more. Additional exterior features include an outdoor shower, storage for beach toys and private parking area. This home is situated on an oversized building lot (11,394 sf) offering endless potential in the future. 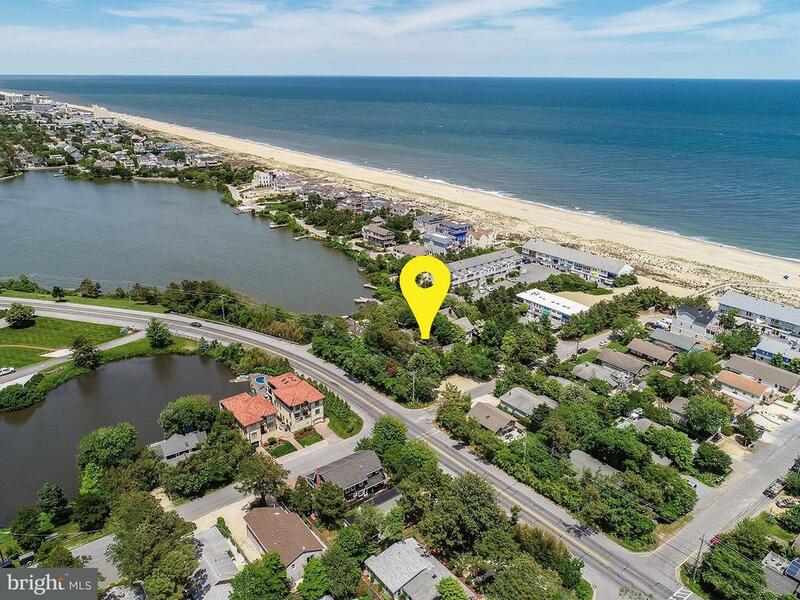 This is an excellent opportunity to own one of the few direct lakefront homes on Silver Lake and arguably one of the most desired locations in Rehoboth & Dewey Beach.